Excellent growing conditions have meant that California lettuce production is very strong right now. Quality is also very high, with very little weather and disease pressure affecting any of the lettuce varieties. The weather has been ideal in the Salinas Valley, with lows in the low - mid 50s and day time highs in the 70s. "The Salinas Valley is still producing strongly," said Eric Garcia of River Fresh Farms. "We have experienced perfect growing conditions. As a result, lettuce production is very high, yields are very good and quality is excellent. Plant weights are very good in the bins right now with the plants producing more. There have been some reports of lettuce coming out of Mexico already, which would be very early for them, although we cannot confirm this." Because of strong supplies, the markets have been poor, with prices at levels only slightly above what growers would consider as break even. Additionally, Garcia explained that with the hurricane affecting the East Coast, short term demand for lettuce is likely to remain flat. "It's been a tough deal and the markets are depressed right now," he said. "Prices have been between the $7 - $9 range, with liners at $8 and wrapped lettuce at $9. This is really at the bottom end of pricing. With the hurricane along the East Coast, it will mean that pulls from there will be very light for some time." Part of the reason for the depressed market is because demand for lettuce is very flat. Some of this has to do with the lingering effects of the E. Coli outbreak in romaine lettuce last year. Additionally, Garcia believes that lettuce is lagging behind other vegetables when it comes to innovative products. Many vegetables, from cauliflower to beetroot to herbs are being used in creative value-added products, while lettuce products largely remain the same. "There have been a lot of new innovations with other produce over the past few years but not lettuce," he observed. "Many vegetables are being re-imagined in various ways through new value-added products on the market. Additionally, items like kale are considered as 'superfoods' and demand is rising. Lettuce is falling behind and is losing some of the market as a result." 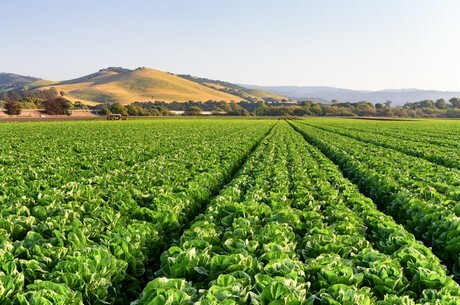 Garcia noted that lettuce acreage has been falling, while other commodities are increasing. "Growers have been planting less lettuce in the last few years, while acreage on commodities like parsley and cilantro are increasing."